March 21st marked the beginning of the NCAA single-elimination Men’s Basketball tournament. Better known as March Madness, it is not only one of the greatest sporting competitions in American athletics, but it is a cultural phenomenon. Over the course of two nail-biting weeks, 64 college teams will dwindle down to one in pursuit of the National Champion title, all while capturing the attention of millions. With stories of relationships ending, houses dividing, and entire offices dropping everything to catch the games, the tournament is just as it sounds: madness. It has become known for its upsets and underdog success stories, making the competition both unpredictable and mesmerizing. This would explain its viewership of sports aficionados and casual fans alike from across the country. Whether it’s due to Alma Mater pride, long-held family ties, or simply the success of the bracket, the tournament has a way of producing passions and air-tight team allegiances. 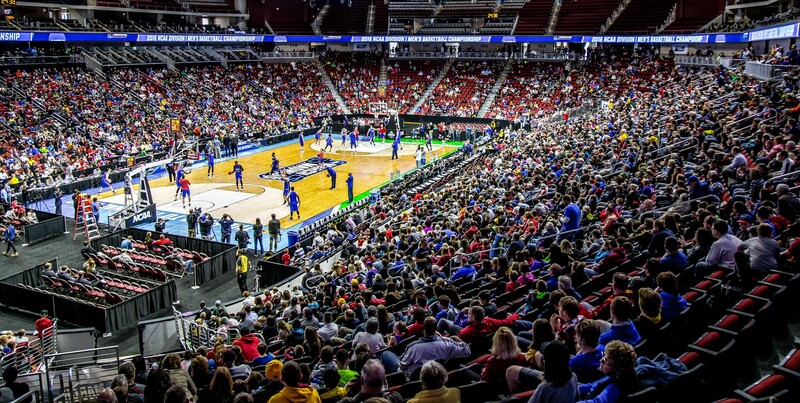 Originating in 1939, the NCAA has grown in size and popularity over the years, and in turn, has served as a launch pad for some of the most prolific basketball players in history. With experiences on and off the court, these are some of the top former March Madness superstars who are now inspiring fans and young players alike with their motivational stories of determination, overcoming adversity, and giving back to their communities. Getting his start at Michigan State in 1977, Magic Johnson led the Spartans to the Elite Eight and then the National Championship title in two consecutive years. This success assisted his signing on to the Los Angeles Lakers in 1979 as the first overall draft pick. 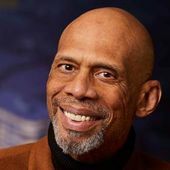 After concluding his professional career with 3 NBA MVP Awards, nine NBA Finals appearances, twelve All-Star games, and ten All-NBA First and Second Team nominations, Johnson has become a dedicated philanthropist, prolific businessman, and motivational speaker. Through the Magic Johnson Foundation, he has supported HIV/AIDS awareness and prevention. 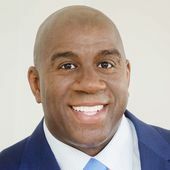 Additionally, Johnson serves as the chairman and CEO of Magic Johnson Enterprises, where he has impacted ethnically diverse and underserved urban communities through strategic alliances, investments, consulting, and endorsements. Considered the best player in Naval Academy history, and possibly the best center in college and NBA basketball to date, Robinson has made an impact on and off the court. In 1986 Robinson led the Midshipmen to the Elite Eight in one of just two times in school history. After a two years stint in the U.S. Navy, Robinson later joined the San Diego Spurs in ’89 where he led the greatest single-season turnaround in NBA history at the time. 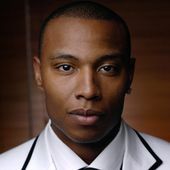 Robinson has since used his platform to become a motivational speaker and to help children in under-served areas. After founding and funding over $11 million to the Carver Academy in San Antonio, Texas, Robinson was recognized by the NBA for his outstanding charitable efforts by becoming the namesake of the NBA’s monthly Community Assist Award. 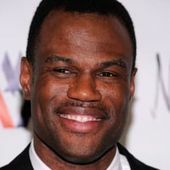 Robinson is also a successful businessman, founding Admiral Capital, a private equity firm now worth over $100 million, and the Admiral Center, a non-profit created to support other athletes and entertainers with their philanthropic initiatives. 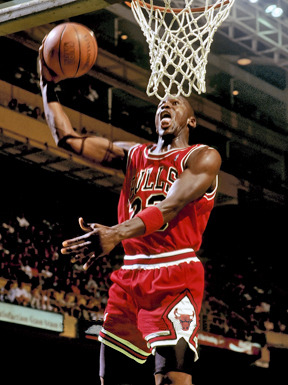 Sports legend, Michael Jordan, got his start at the University of North Carolina at Chapel Hill. Making the winning shot of the NCAA Tournament his freshman year in 1982, MJ became a force. Jordan was selected by consensus to the NCAA All-American team both his sophomore and junior years. 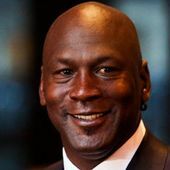 After joining the NBA in ’84, Jordan played 15 seasons with the Chicago Bulls and the Washington Wizards where he solidified his title as “The Greatest Basketball Player of All-Time.” Building from his athletic success, Jordan has used endorsements and smart business ventures to become the first-ever billionaire in the history of the NBA. Jordan uses his position to inspire others and give back to the community. Over the years he has donated his time and millions of dollars to many different causes, ranging from hurricane relief to the Boys and Girls Club of America, and he has been influential in the charitable contributions made by the Charlotte Hornets as the team owner. Caron Butler’s life story is one of hardship, hard work, and ultimately success. Growing up on the streets of Racine, Wisconsin, Butler had been arrested more than a dozen times before his 15th birthday. After spending a year behind bars, Butler made a conscious decision to turn his life around. Through strength and determination, Butler returned to the high school court where he was eventually able to secure a scholarship to play for the University of Connecticut Huskies. At UConn Butler led the team in shooting and rebounds and played a key role in their 2002 Big East Championship, earning him the title of Co-Big East Player of the Year. After his successful sophomore year, Butler entered the NBA, where he played for nine different teams before his retirement in 2016. Today Butler is a dedicated public servant. He is known for his extensive contributions within the Racine community and his work with larger organizations including Tobacco Free Families, The Salvation Army, and United Way. Butler also founded the sports-based 3D Foundation to honor students who exemplify his personal principles of determination, dedication, and discipline. Overcoming insurmountable odds, Curry jumped onto the national scene in the 2008 NCAA Tournament when he led Davidson College to the Elite Eight, ranking as one of the top Cinderella moments in March Madness history. Curry is a motivated athlete who is dedicated to practice and improvement. 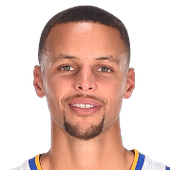 After joining the Golden State Warriors in 2009, Curry has broken numerous world records, won 3 NBA championships, has been named the NBA MVP twice, and has been called the greatest shooter in the sport of basketball – all of which he has attributed to hard work, determination, and his unwavering faith in God. Curry strives to be a positive role model for young athletes and is an avid philanthropist, best known for partnership with the United Nations on the Nothing But Nets campaign. All American Entertainment (AAE) is a next-generation speaker and entertainment agency. We help our clients select, book and execute events with speakers and entertainment that will leave a lasting impact on their audiences. For inquiries about booking inspirational athletes or basketball coaches for your next event, feel free to contact us.